Mikey Fuller | Interiors: Hairpins Are For More Than Up-dos! Hairpins Are For More Than Up-dos! Okay...If you've been reading my blog for any length of time, you've probably seen this table at one point. I got it at a garage sale for $5.00 and have never found a home for it. Since I got a real sofa last month, it has become an end table. I got these fabulous hairpin legs from eBay. I just flipped it over (not easy, it weighs close to 100 pounds!) and screwed on the new legs. I love how they make it look like the cabinet is floating there. It really adds a nice touch of industrial to a very chic room. Don't forget about the SALE in my online shop! 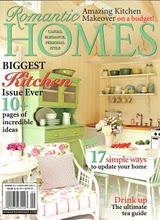 Use coupon code RH15 for 15% off through March 15, 2012 due to Shabby French Cottage being featured!